Kohl plays in an assured manner in a contemporary hard bop style, supported here by La Spina on most tracks with Stephen Roane taking over on just two selections. Doty is quite a busy drummer but he swings the trio throughout and has the sort of forward thrusting style that appears to suit the leader very well. 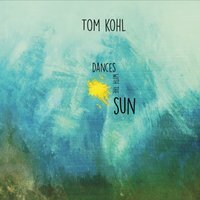 Kohl’s dense, staccato lines towards the end of Tymus, the opening track, are heavily underlined by Doty’s drumming. Can I ask You A Question is a gentle ballad which brings out the lyric side of the pianist’s playing. His touch is ultra-light here, in contrast to the opening piece and the bass and drum team support with sympathetically low key performances, Doty switching to brushes. A Flat tune is just that, medium tempo with some melodic improvisation from the pianist leader and busy drums. As original music it works well enough for some well -crafted improvisations and provides a contrast to the previous tracks which are up tempo followed by slow ballad. This variation in tempi from selection to selection makes for an interesting programme of the leader’s original compositions. Indian Summer is the first of two standards included in the set. Kohl sticks to the melody for his opening chorus with bass and drums swinging him along although his variations are fascinating enough to rate further auditions. La Spina gets a good workout on bass on this one. Lover Man begins with a Latin beat from the drums and the leader tracing a delicate series of variations on the melody. Although Kohl’s originals are interesting and highly suitable for variations it is good to hear these well- structured versions of familiar material. Too many new musicians play only their own, often easily forgettable compositions and give no indication of how well, or otherwise, they know the tradition. Tom Kohl does and knows it well.